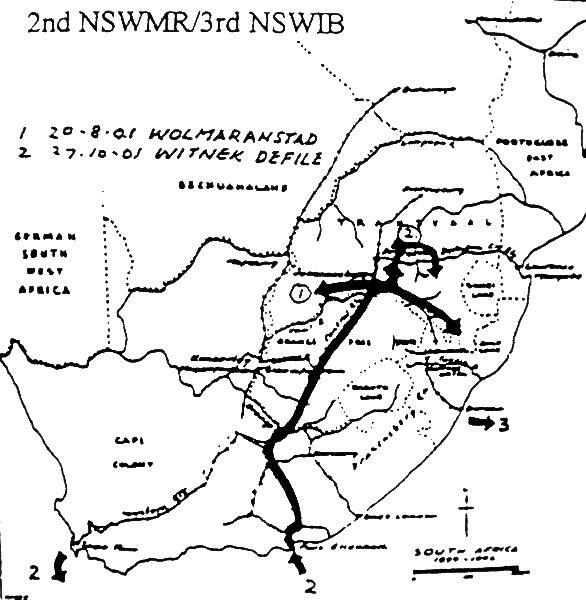 Map illustrating the activities of 2nd New South Wales Mounted Rifles in South Africa, 1901 - 1902. Murray, P. L., Official Records of the Australian Military Contingents to the War in South Africa, pp. 106 - 108. Second New South Wales Mounted Rifles. This regiment was established at Sydney upon pretty much the same lines as the 1st Mounted Rifles; except that, as no service squadrons were away, the whole corps was embodied in New South Wales. Preference was given to trained men who were good shots and good riders, subject to tests as ordered. The age limit was 20 to 40 years; standard height, 5 feet 6 inches and upwards; minimum chest measurement, 34 inches. Applicants were also required to be single men and to pass a military medical examination. Rates of pay as for Citizen's Bushmen. 106 Troopers (including 5 Drivers, 5 Batmen, 2 Cooks, 2 Wagon-Men). Uniform consisted of F.S. jacket, pants, puttees, and hat. Equipped partially with saddles. 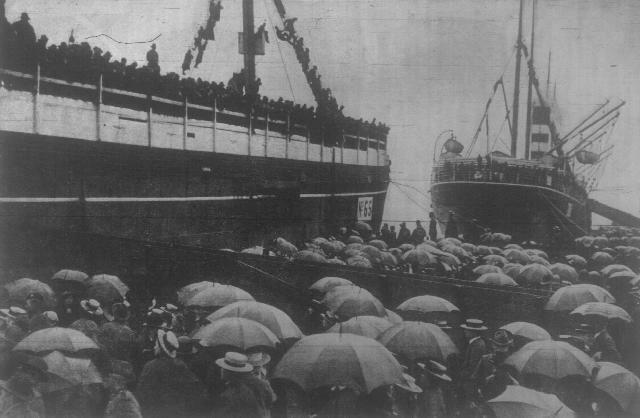 Embarkation of the SS Maplemore (left) and the SS Custodian (right) at Cowper Wharf. The regiment left Sydney on 15th March, 1901. It consisted of 33 officers and 673 of other ranks, with 700 horses, and disembarked at Port Elizabeth, 17th April. Of these, 2 officers and 23 others were killed or died, 3 officers and 10 others were struck off the strength in South Africa, 28 officers and 640 others returned to Australia. Embarked at Cape Town on 4th May, 1902; called at Albany on 21st May, Melbourne, 29th May, and disembarked at Sydney, 4th June. A draft for the regiment was despatched on 21st March, 1901, of 9 officers and 281 others, with 320 horses; 7 were killed or died; 2 officers, 27 others were struck off in South Africa, and 7 officers and 207 others returned. (a) Served in the Western Transvaal, under the command of Major-General Fetherstonhaugh, from 23rd April to the 1st October, the principal operations being the capture of Potgeitiers' convoy on the Vaal, 24th May, 1901; capture by the regiment of General De La Rays convoy of 106 waggons, a large quantity of cattle, ammunition, &c.
(b) Served in the Eastern Transvaal, under Major-General Fetherstonhaugh; engaged in many night marches, resulting in over 1,000 prisoners being captured. The regiment served under Colonel E. T. C. Williams, of the “Buffs," throughout, with the exception of six weeks, when the column was commanded by Lieut -Colonel Lassetter. The command of this, a purely Australian Column, has been a great pleasure of the officer commanding, and he desires to thank every one for their cordial support and unfailing loyalty at all times. During the year the Column has been in existence it has travelled upwards of 4,000 miles in every part of the Transvaal, doing much fighting and hard work, all of which has been most cheerfully carried out. One specially noteworthy feature is that, though constantly engaged with the enemy, only 18 men have been taken prisoners, and of them the larger number were taken on the first fight at Korranafontein and through no fault of the men. This record, which it is impossible to beat, speaks volumes for the spirit and soldierly qualities of the Australian Soldier. No Column has made more night marches; and one march, made on the night of 11 March 1902 from Brugspruit, over the difficult Wilge River to Doornek (230) a distance of 45 miles, which, with the return journey, makes a distance of 75 miles, is worthy of mention. 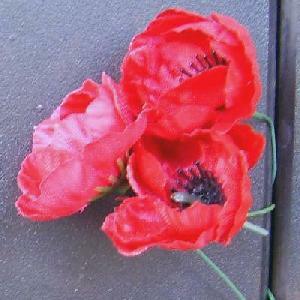 Finally, to Lieutenant Colonel Lassetter, Commanding 2nd New South Wales Mounted Rifles, and to Major Lydiard, 2nd Mounted Rifles, the officer commanding Column desires to express his grateful thanks. One hundred and forty-one officers, NCO's and men, never missed a trek during the regiment's service in the field. Murray, P. L., Official Records of the Australian Military Contingents to the War in South Africa, pp. 107 - 122. The Roll of Honour contains the names of all the men known to have served at one time with the 2nd New South Wales Mounted Rifles and gave their lives in service of Australia, whether as part of the 2nd New South Wales Mounted Rifles or another unit during the Boer War.